Get ready for fans of "The Lion King" to roar. Walt Disney Studios said Wednesday it is teaming up with director Jon Favreau for a live action version of the enormously popular animated film. 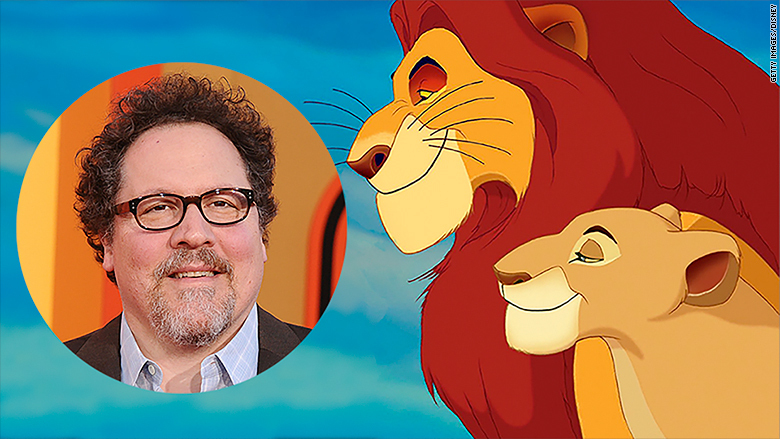 "We can officially confirm that The Walt Disney Studios and director Jon Favreau are putting a new re-imagining of The Lion King on the fast track to production," Disney said in a press release. "The project follows the technologically groundbreaking smash hit The Jungle Book, directed by Favreau, which debuted in April and has earned $965.8 million worldwide." In addition to "Jungle Book," the new "Lion King" will join "Maleficent," "Cinderella" and the upcoming "Beauty and the Beast" as part of Disney's wave of animated films -- or characters from them -- turned live action. And like "Beauty and the Beast," which stars Emma Watson as Belle, the new "Lion King" will include music from the original. On Wednesday Favreau posted to Instagram a picture from the animated "Lion King" with the caption "Excited for my next project." Early reaction to the news seemed decidedly "Hakuna Matata" (which means "no worries"). I knew it was only a matter of time until they did a live action Lion King. Let's see if they can pull it off. I trust Favreau. Jon Favreau doing The Lion King next. Gotta be better than the lame cartoon one. Favreau is also working on a sequel to "Jungle Book." Neither that project nor "Lion King" have release dates as of yet. According to Disney, "The Lion King (1994) is one of the biggest animated films of all time with a lifetime global box office gross of $968.8 million, including $422.8 million domestically."